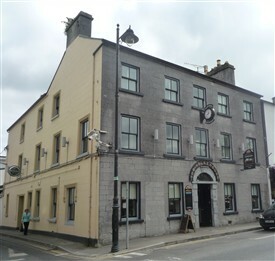 The Valkenburg Hotel is an end of terrace, five bay, three storey limestone faced building c. 1820 encasing a Gibbsian doorcase. This style of doorcase, which was developed as a variation of the James Gibbs’ (1682-1721) Gibbsian surround, was a popular design of the mid 18th century. Gibbs' professional Italian training under the Baroque master, Carlo Fontana set him uniquely apart from the Palladian school. His published works became popular as pattern books for architecture and master- builders from the 1730s onward, and can be distinguished by their frames of heavy cut stone. 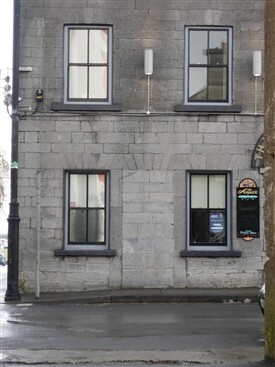 The ‘block and start’ - a simple stone architrave of blocks of rustication running around a semicircular headed opening and having a modest cornice separating the door from the fanlight, was usually found on more modest houses from the mid-18th century onwards, but its use lasted well into the early 19th century. These stone doorcases were often painted as would have been the case originally, whatever the quality of the stone. The principal purpose of this was to achieve uniformity. Painting also helped to protect the doorcase from weathering and concealed imperfections in the stone. The quality of the Valkenburg Hotel’s doorcase is very good. If one studies the frontage closely, one can see blocked up doorways which are now windows on the ground floor. In the 1800s the “Mail coach staging post” was located on this site. Colonel Charles Knox was the landlord and he possibly built this hotel to provide safe accommodation for the families of soldiers who visited from abroad. According to local sources there was a military academy with trainee soldiers in Ballinrobe, and also a rest and recuperation (R & R) facility. His Manager was John Valkenburg to whom he eventually leased the Hotel for a ‘Shilling and a pinch of snuff’ per annum. 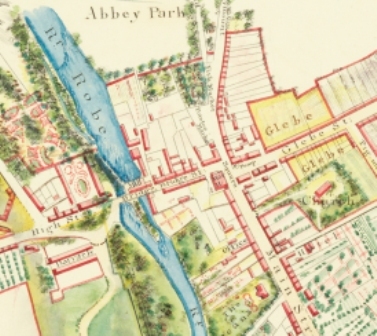 In 1858 the Valkenburg family bought the premises for £1,000 from the Knoxes. It is said that around the 1920s the Valkenburg Hotel owners operated the first petrol pumps in Ballinrobe at back of the Hotel and operated the Hotel till the mid 1950’s when Joe Valkenburg died. 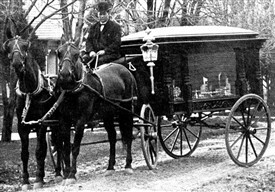 Joe also operated a funeral business and can be remembered for the black horse drawn hearse with two or four black horses suitable adorned with plumes. In 1958, Patrick Finlay bought the Hotel and operated it for 15 years when finally in 1973 Seamus and Ita Langan bought the premises. Their sons, Richard and Barry operate it now. This page was added by Averil Staunton on 13/12/2010.